With privacy and wilderness views, our Bothy offers a comfortable, secure and sheltered alternative form of camping, whilst staying on Tiree. 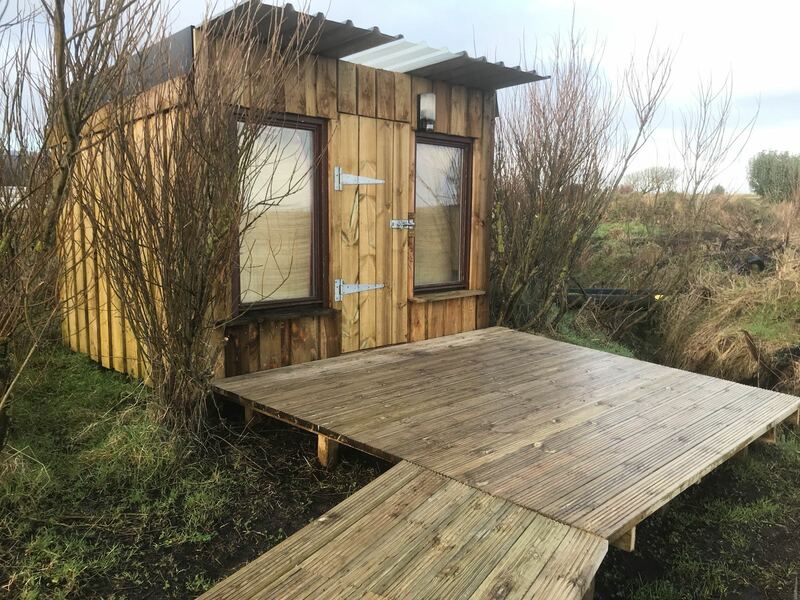 The Bothy is small and is minimally furnished but is a convenient option for those travelling to the Tiree by plane or if you are looking for more solid accommodation than a tent provides. The Bothy has three single beds with basic mattresses. Two double 240v 13amp sockets provide power for any standard household goods, phones and laptops that you may bring with you. 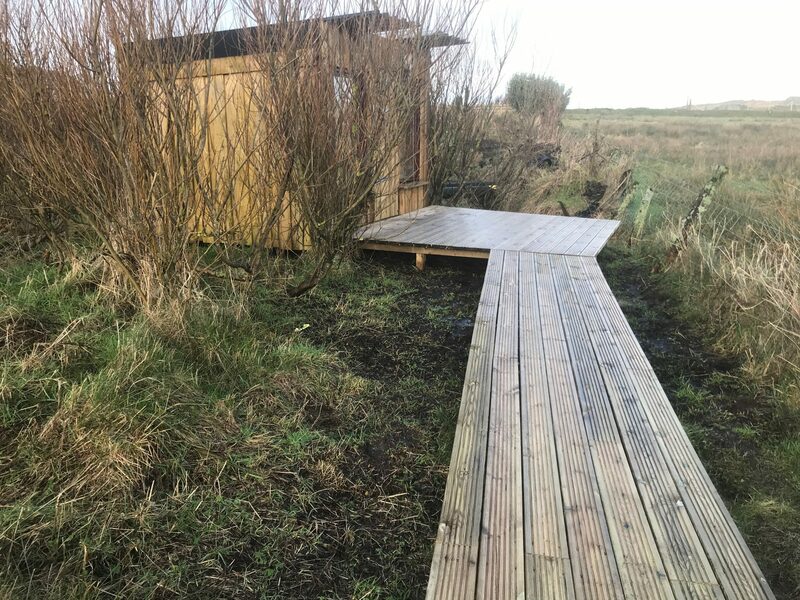 An exterior decking area allows for comfort and storage off the ground, immediately outside the bothy. A small panel heater and towel rail in the Bothy, provide heat & drying abilities to anyone using the facility. Guests must bring their own sleeping bag and/or sheets and duvet, and their own pillow/s. If you wish to bring your own camping mattress we would also recommend that you do so since our mattress’s are basic and robust in order to fulfil the most basic camping and sleeping needs. Bothy guests share our campsite facilities area and general campsite toilets and showers within other campers (Please see the ‘Camp’ section of the website for further details of what facilities and equipment our campsite offers).